Give your home a fantastic clean with this Prolectrix steam cleaner, perfect for use on tiles, hard floors and carpets. 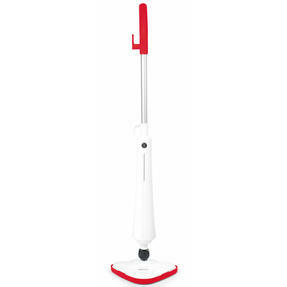 Using just steam the mop allows you to clean naturally so you can kill bacteria without leaving behind any chemicals. Heating up in just 25 seconds the steam makes your cleaning quick and simple, the mop also has a convenient triangular head making it easy for you to clean all corners of your home. 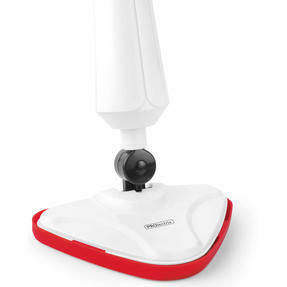 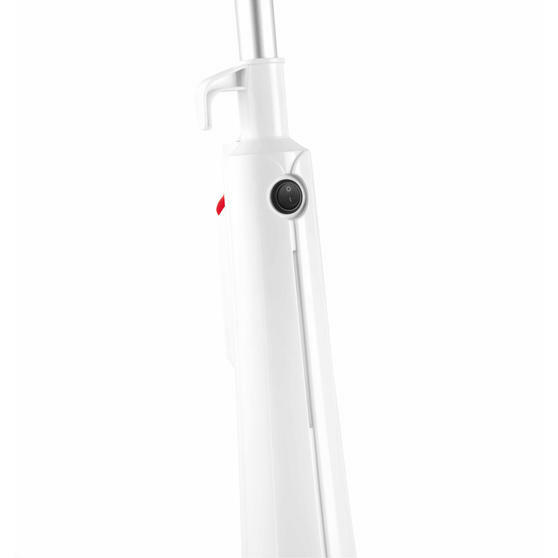 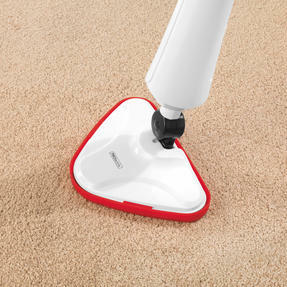 With 1300 W of power this mop is a wonderful addition to any cleaning set. 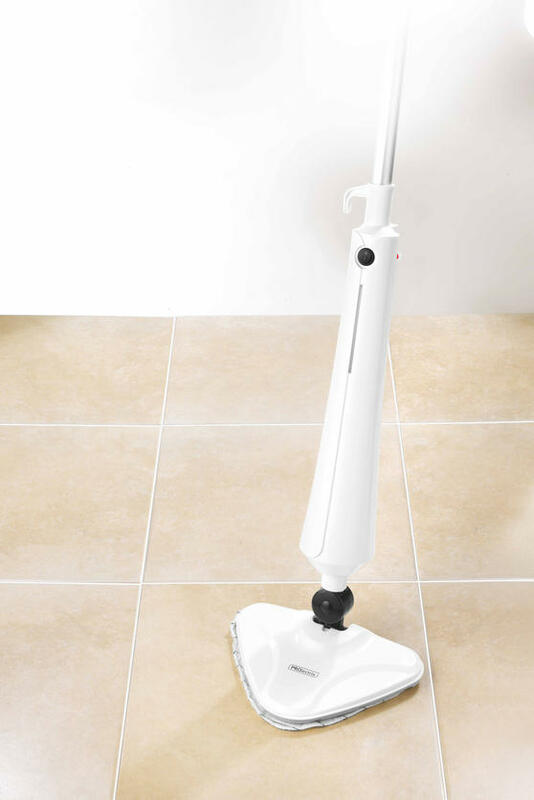 An ideal addition to any cleaning set, this Prolectrix steam mop comes with a microfiber pad, measuring cup and a carpet glider. 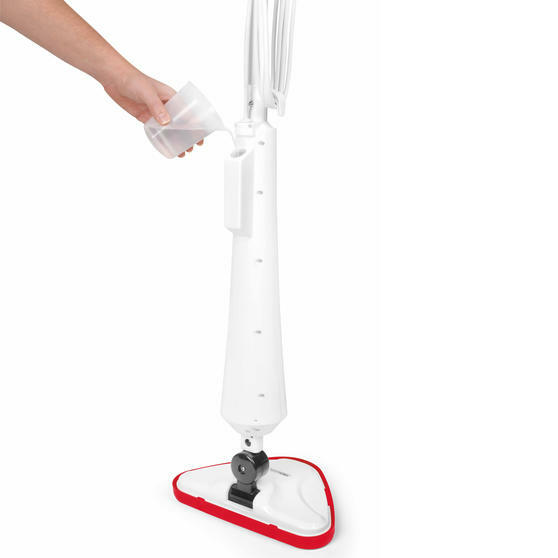 Featuring a fantastic 350 ml easy fill water tank, the mop will allow a full 15 minutes of steam cleaning before it needs refilling. 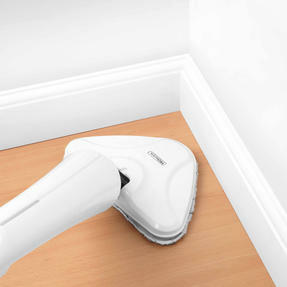 The powerful steam mop provides precise cleaning with an easily manoeuvrable triangular head allowing you to clean deep into corners. 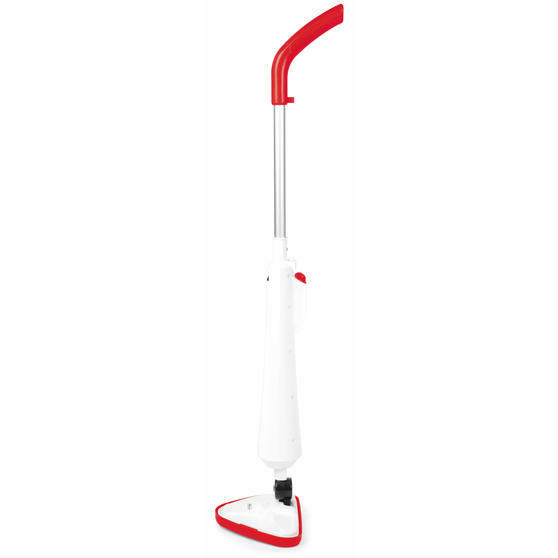 Eliminating the need for you to use harsh chemicals, this mop kills bacteria using only steam on your hard floors and carpets. Heating up in just 25 seconds so you can give your floors a thorough clean quickly, this mop makes your cleaning easier than ever.